1. 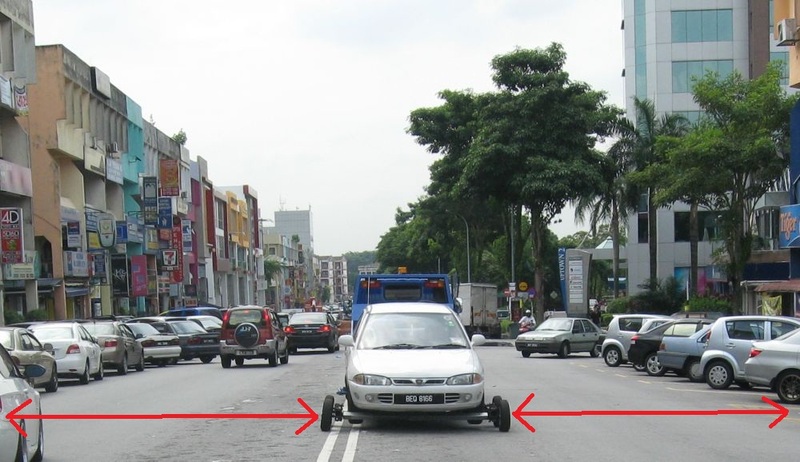 MBPJ should be more selective in towing away cars parked "illegally"
The photo above shows the very generously wide passageway for cars in both directions as indicated by the red arrows after MBPJ towed away all except one cars parked "illegally" and deprived motorists from desperately needed roadside parking lots. In the last photo, two red arrows shows clearly how excessively wide clearance for passing cars when those space could easily be used to create legal parking lots for cars. MBPJ towing operation resulted in huge wide space. Just what do they want motorists to do with such wasted space? For racing? Note the wide space which is more than enough for cars to easily pass.